If you have been around since the seventies, chances are you’ve heard ELO. Chances are you’ve even heard of their music. Chances are you even probably know more than Mr Blue Sky. 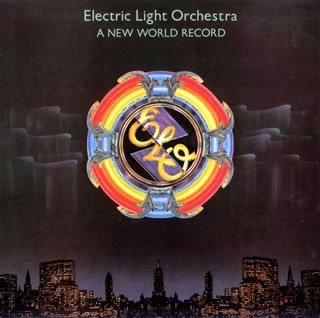 A New World Record is the sixth ELO album and was released in 1976. It has a number of their hits such as: Telephone Line and Livin’ Thing. According to my records I’ve only ever listened to this album twice before (in MP3 format since 2001). Still enjoyable but surprisingly short at just over 36 minutes in length…..